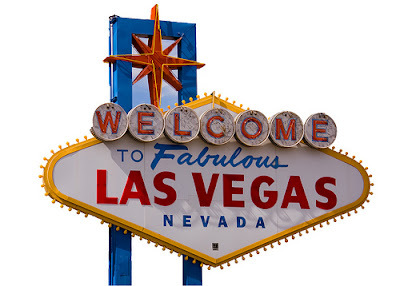 Paula Wessells: Viva Las Vegas! On the way out for a few days in Vegas. While I usually don't have a lot of down time when in Vegas I do have my favorite places. This property has everything - the best pool, great restaurants, and has a lot to offer if you are traveling with kids. What is even NICER about Mandalay Bay is there is a small Four Seasons property that is connected to Mandalay. Thanks to some very nice clients, I had the opportunity to stay here and you wouldn't even know that you were in Vegas! Also at the Mandalay is the House of Blues Foundation Room - if you ever have a VIP pass to an event here, it has an AMAZING view! It is located on the top floor of the the hotel and you can look down the entire strip. N9NE Steakhouse at the Palms - be prepared for the most expensive smores you will ever have! LOL! It's all about the presentation. Then head up upstairs to Ghostbar for some unbelievable people watching...this is a 20-something crowd. Aureole at Mandalay Bay is a must see just for the wine rack tower! The wine gal has to be pulled up by a harness to retrieve the wine. The design was inspired by the movie Mission Impossible. This trip I am looking forward to seeing the Wynn and the newly remodeled Caesar's Palace!